Montreal, Quebec (findit) July 6, 2018 - Future Electronics, a global leading distributor of electronic components, has released a video explaining the ongoing global supply crisis in capacitors and related passive components, and the steps they have taken to help their customers. The electronics industry is facing a severe and unprecedented shortage of capacitors, resistors, and power inductors. MOSFETs, diodes and transistors and other discrete semiconductors are increasingly constrained as well. These shortages are being driven by automotive sector growth, smart phones, wireless network infrastructure and IoT, and are expected to continue for the foreseeable future, creating tremendous uncertainty in the market and instability in supply chain. "We're proud to be the world's leading distributor of capacitors, and we're committed to helping our customers avoid line-down situations," said Jacques Hing, Vice-President, Worldwide, Capacitors at Future Electronics. "This video explains the conditions we're seeing in the market, and the steps we're taking to mitigate them." 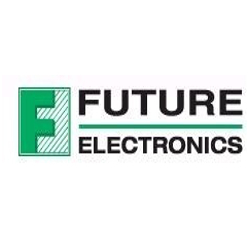 Future Electronics is a global leader in electronics distribution, ranking 3rd in component sales worldwide, with an impressive reputation for developing efficient, comprehensive global supply chain solutions, as well as differentiated engineering services encompassing technical support, technology training and custom board design. Founded in 1968 by Robert Miller, President, Future Electronics has established itself as one of the most innovative organizations in the industry today, with 5,500 employees in 169 offices in 44 countries around the world. Future Electronics is globally integrated, with one worldwide IT infrastructure providing real-time inventory availability and access, while enabling full integration of its operations, sales and marketing worldwide. Offering the highest level of service, the most advanced engineering capabilities and technical solutions through all stages of the design-production cycle, and the largest available-to-sell inventory in the world, Future's mission is always to Delight the Customer®.